Meet your newest friend, Obbie! He needs your help to do some tasks. You can help him by making the right choices along the way! 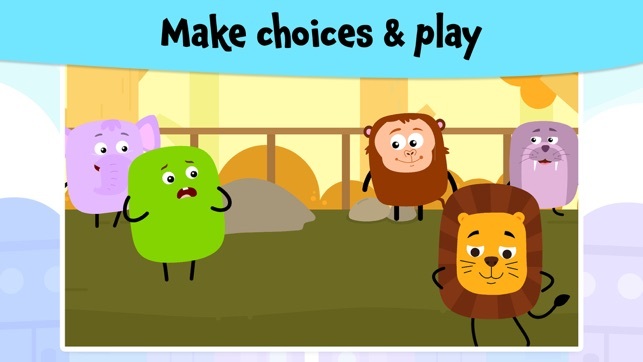 After every choice in these toddler games, a surprise awaits you. 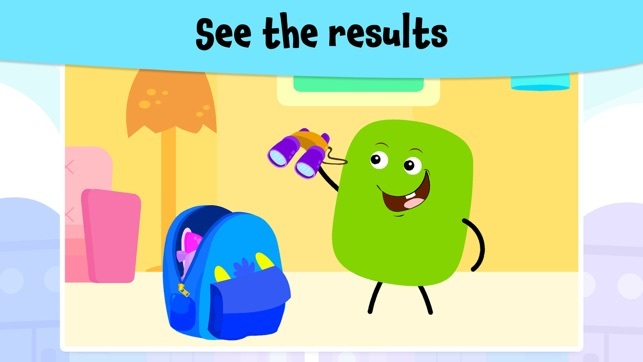 Don't forget to see what happens when you tap on every option in these fun animal games and cleaning games! 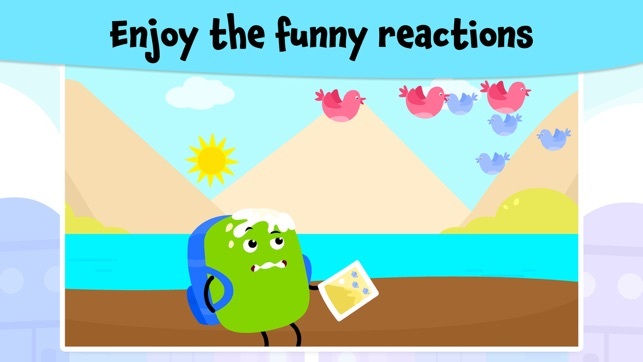 You will surely laugh out loud when you see the funny and cute animations! Toddler Games Free for 4-Year-Olds will introduce your kids to different animals, teach them good habits and your children will surely have a great time playing these toddler games. In Obbie Animal Zoo, Obbie meets various animals like the lion, monkey, elephant and the sea lion! This episode is filled with awesome animal games that kids will enjoy! Do you love trekking? Then you will love this episode! 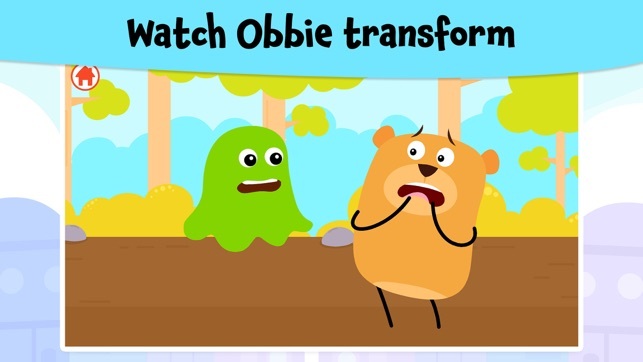 Help Obbie overcome the obstacles and find his way to the top of the mountain. Think carefully and choose your option! Cleaning can be fun with Obbie! In this episode, you will see how Obbie cleans everything up and helps his mommy. With these cleaning games, fun time is guaranteed! 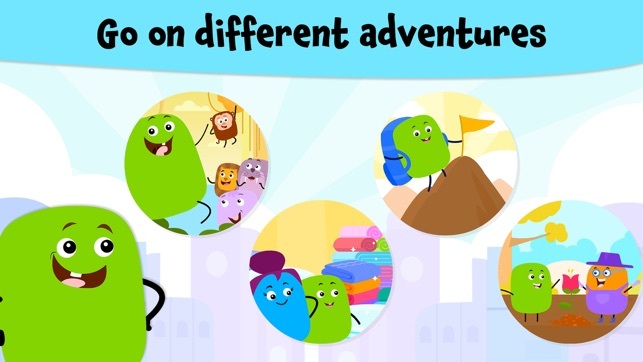 This game for kids and toddlers offers you the chance to have fun with your child. - No internet required. Kids can enjoy this game anytime, anywhere. - 100% Kid safe environment. You don't have to worry about your child stumbling upon unsafe content! 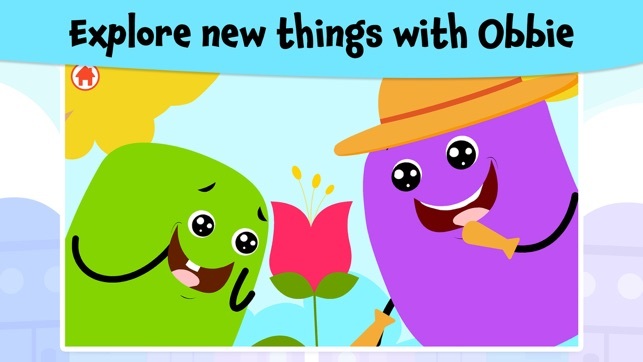 - Cute animation that will keep kids engaged and entertained. 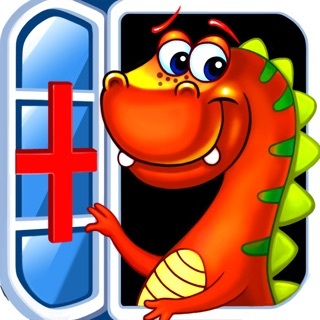 - Animal games, cleaning games for kids and toddlers and more engaging games. 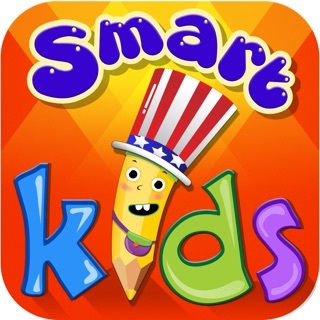 - Toddler games free for 4-year-olds is full of funny kids videos that will make kids giggle. - We have NO ADS or annoying pop-ups in this app! - Perfect for every child that loves cartoons. 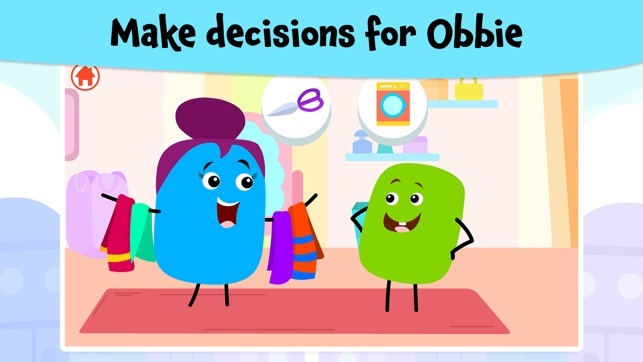 Set out on an exciting journey with Obbie and have fun along the way! Download this app now to make your kids happy! !